Newly created website shows 503 Service Unavailable. Application pool 'AppPoolName' is being automatically disabled due to a series of failures in the process(es) serving that application pool. Also, check that there are no Deny rules for psaadm , psacln , psaserv users. 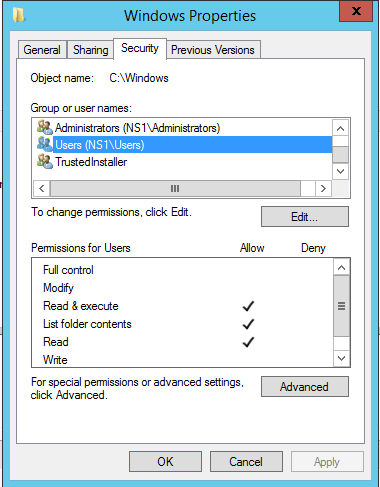 If the issue persists, Use Process Monitor utility with filter by Access Denied. Replace drive C:\\ with drive name in question. Contact Plesk technical support if it did not help.